I Saba Shafi Makhdoomi am a thirty year old doctor, a pathologist by specialization. I was born and brought up in Kashmir. I did my schooling from the Presentation Convent Higher Secondary School, Rajbagh, which happens to be also a place where my parents’ home is. I did my medical education in the Government Medical College Srinagar, passed out in 2011. Then in 2012, I joined a postgraduate course in Sher-i-Kashmir Institute of Medical Sciences, where I was to pursue an MD in Pathology. Currently, I divide my time between Delhi, where I have been working in a State Cancer Hospital and Kashmir. I live in Delhi with my husband who happens to be an oncologist. The only thing I managed to find time for while I was studying and later working, was reading books and writing. I’m not sure if ‘writing’ qualifies as a ‘hobby’ for me though. 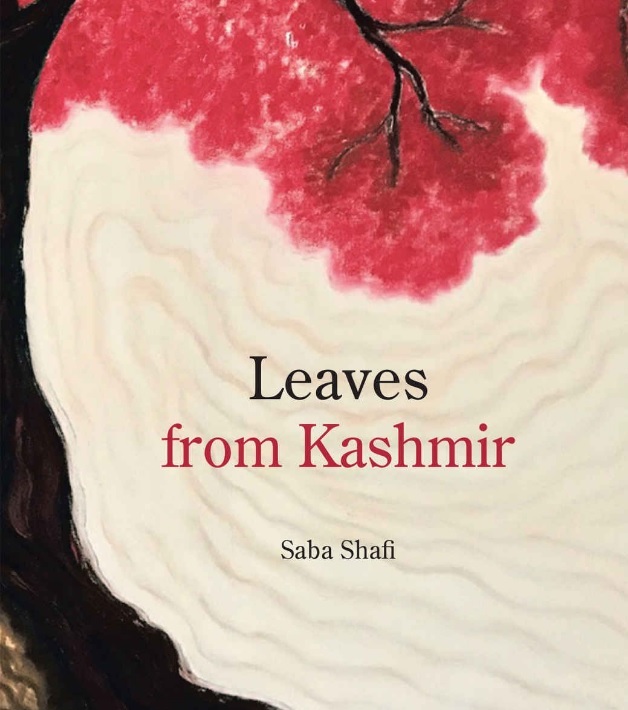 ‘Leaves from Kashmir’ is a literary work that draws upon a range of emotions emanating from the conflictual experiences and dilemmas that each individual born in a land seeped in high politics and bloodshed is faced with. Growing up in such mental and physical confinement invariably undermines the existence of the individual to the collective conundrums. The book alludes to conflicts, both internal and external, exploring the intricacies of the relationship the individual shares with the composite and the struggles, thereof, on the part of the individual, to discover its insulated and exclusive existence. 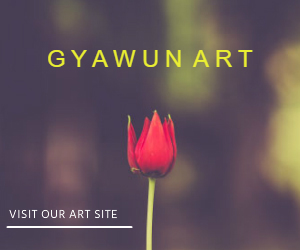 The protagonist in the book, referred to as ‘she’ does not merely reflect upon life, death, love, longing, home and exile, but also breathes life into her words, which then dance expressly, vacillating between the political and the apolitical. Impelling circumstances determine the choices of the protagonist ‘she,’ who can be identified with the multiple shades and nuances of any and every individual’s personality. Employing the minimalist approach in both prose and poetry, written as ‘a stream of consciousness,’ this recoil projects a sense of increased friction between the world within and the outer world and hence the constant, arduous efforts to reconcile both. The ‘home’ within, is juxtaposed with the original home of the protagonist, Kashmir, the one that she carries within herself, sheltered in her body and soul, one that though she leaves behind, yet forms a part of her ‘splintered’ identity; the parting of the two appears both painfully urgent and painfully impossible. Ah well! The ‘journey’ has not been an easy one as most journeys of any consequence. To break off from the constraints of provincial conformism, to go against the tide isn’t exactly a cakewalk. But then again, I guess the choice was simple at a deeper level, that of following one’s heart, of just listening to one’s innermost voice. Being a doctor, however, made it quite easy for me to make sense of pain, my own and of others, for I had been exposed to the pain and pathos of human existence each minute of each day. Such acute awareness tends to make one quite permeable, fluid almost. Writing has been a form of catharsis for me. From quiet early, books helped me to escape, at least in my mind, the confinement and strife I grew up in. Around the time of the violent, ‘blinding’ summer of 2016, I found myself struggling to search for meaning at a microcosmic, personal level, while my contemporaries in Kashmir happened to be doing the same at a larger, macrocosmic level. I kept scribbling in my diary for about six months on end, randomly, incoherently at first, to assuage my yearning of home, mulling over the various shades of exile, ruminating over life, love, existentialism, until fact blurred with fiction and the thin, flimsy line that seemed to separate the two became invisible. And that’s how this book was born, most of the writings being done in the night after having worked in a cancer hospital in Delhi during the day. The first book is a reflection of an author. How does ‘Leaves from Kashmir’ represent you? (Smiles). Well I don’t think it’s just the first book that represents the author, I think it’s true for every work of art, no matter what the count may be. The story may not be mine, the character may or may not be of that I know, but the emotional interpretation is obviously mine, the eyes that observe (even if from a distance) are mine, the ears that hear those stories too being mine, as is the heart that renders those emotions. To write something means to embody it, to internalize and assimilate it, to have each tiny cell of your body resonate with the power of those words. In that sense, if in no other, the book may be said to have come through me, if not by me. ‘Leaves from Kashmir’ reflects the pain of a Kashmiri. Is it your escape from the conflict? Well that’s quite a sweeping statement. It speaks of pain, yes, it’s richly woven with the intricate emotional motifs that form the inner core, the pashmina if you may, of every Kashmiri, but that is only one way of looking at it. Another, more inclusive way to approach it is this. The language of pain, the yearning for home, the travails of exile, the longing for freedom (both within and without), the search for love, and an attempt at examining one’s life, is very universal. It cuts across all barriers imposed by men. On the contrary. This book was probably not an attempt to escape from the pain of the conflict but rather recognizing it, acknowledging it and engaging with it in a more direct way. Because after all, one can find means of escape galore, but only for so long. Sooner or later, our inner demons catch up with us. Many books have been written on Kashmir. What is unique about ‘Leave from Kashmir’? Well sure, many books have been written ‘on’ Kashmir, and many more shall be written as well, hopefully. As someone that would jump with much agility on any voice emanating from Kashmir, I think it would be safe to say that I haven’t come across a book written by a Kashmiri woman in this particular genre. Not by a doctor for sure. Being a Kashmiri it’s hard to write about conflict and get it published. What kind of bottlenecks did you face? Honestly the only problem I faced was one that any new writer would. Being a Kashmiri was no added baggage that slowed me down. Also the book has Kashmir in its soul and breath, yet it speaks of a lot more than that. And the allusion to conflicts, both within and without, would resonate with anyone that lives, feels and thinks. Writers usually work on many plots together. Any plans for writing another book? What will it be about? Well I was quite devoted to this one. But yes, I do intend to try my hands on writing a novel set in Kashmir. I have a vague scaffold in my head, but I need to breathe flesh and blood on it still. Any message for writers out there? Well I am hardly accomplished to be advising other writers! I think the only thing I can tell them is this….No one is an expert here, we all make our own unique mistakes and the beauty probably lies in those flaws. If you are a writer though, you must respect this gift and the only right thing you can do is write.